Frank Lloyd Wright stated (in 1949) that the architect should provide ‘a system of philosophy and ethics, which is a synthesis of society and civilization.’ Jeffrey ARONIN (1953/1973) concluded that Wright was right. He added a list of other necessities for their professional work (including the now fashionable item of climatology and his neologism of airchitecture). Wright’s statement can now be applied to the quadralectic way of thinking, which might be the very system of philosophy for the modern architect. Quadralectic insights can be transposed in architecture in such a way that a holistic type of building becomes immanent. The four-fold plays a part in that new approach, but its numerical properties do not necessarily figure in a building. The quadralectic way of thinking exceeds the blunt necessity of the figure four to be present in any design. This very characteristic might, in fact, point to the opposite of its intentions. Quadralectic building has to replace the ‘classic’ approach, based on the Golden Mean – which is, in essence, a dualistic configuration. The valuation of a building in aesthetic terms in the latter setting is derived from a comparison between two entities of equal or unequal size. The outcome is either good or bad, depending on the character of the analogy, and there are no intermediate stages. Many books have been written on the particular features and peculiarities of architecture, which contributed to the valuation. Historical styles and possible influences have been discussed in great detail, but often in a dual setting. A feature did fit or it did not, it was part of a development, or it was not. The evaluation of architecture was sometimes a narrow affair, intermingled with psychological frustrations. The quadralectic approach uses the CF-graph as its yardstick. The graphic formulation seems to have an impersonal character, but this objectivity is the right tool to position the observer in a communication with the observed. It also acknowledges the form of (higher) division thinking. The relation between objectivity and subjectivity has to be reconsidered in the same way as Leonardo da Vinci did at the end of the fifteenth century (i.e. the Pivotal Point of European cultural history). Kim VELTMAN (1986) wrote – in his ‘Studies on Leonardo da Vinci’ (ff p.379) – that the history of the subject/object problem might hold the key to a fresh visibility. He pointed, in fact, to the history of oppositional thinking. The Greek aesthetic feeling used preconceived ideas about the natural world, being therefore, essentially ‘subjective’. The subsequent developed Renaissance perspective did away with the observers ‘idea of beauty’ and produced objective images in a geometrically way even in the absence of an actual observer. Thus, a ‘scientific’ reality was created. With these ‘objective’ images at hand, it was possible to select our own preferences (conscious ideas, ideals), creating a new subjectivity. Veltman drew attention to a possible dichotomy, which emerges here. Either the relation between an object and picture planes is objective (as the observer’s role is excluded) or – if the observer is included – the object becomes a subject in relation to the picture plane, and the relation is subjective. The former has become the terrain of science, while the latter is given to art. This division might be useful for a crude distinction, but has lost all nuances in a quadralectic setting. It is now well-known that there is no ‘objective’ observer in science anymore. Observation is a matter of choices, starting with the type of division thinking. Subjectivity comprises the valuations of relations. ‘It’s accuracy is tested by quantitative parameters, which thus assure the potential reversibility and repeatability of the relation’. That is exactly the aim of the CF-graph in a quadralectic communication model. Unfortunately, Veltman does not point to the fundamental choice in division thinking, which forms the difference between a ‘lower’, dichotomous view and a ‘spectrum’ approach, which points to a higher form of division thinking. Palmer’s ‘Quadralectics of Design’, drafted for a paper on ‘The Application of General Schemas Theory’, was recently (December 2009) published in his Ph.D. thesis of at the University of Adelaide (Australia). His findings might not be directly related to classical architecture, but they are certainly part of the intellectual foundation of non-dualistic thoughts. (Source: Chris Jochim – Just Say No to ‘No Self’ in Zhuangzi; p. 169 in: ‘Wandering at Ease in the Zhuangzi’ by Roger T. AMES (1998). There is also the mentioning of the word ‘myrialectic’ as the art of conversing on each and everything. The Zhuangzi, from the third century BC, is a collection of essays, celebrating human creativity. Possessed is a novel of Dostoyevsky. Ursula K. La Guin took the name as Dispossessed in her novel. One: Between Anarres and Urras. Two: Between A-Io and Thu. Three: Amongst Benbili and A-Io plus Thu. This is the mother planet Earth and Hains in her novel. All these references mention the word ‘quadralectics’ as a superlative form of a dialectic setting. No description is given, except for Palmer’s study. Other efforts in four-fold thinking are labeled as ‘tetralectics’. Two versions are distinguished: an Andean interpretation (Lógica Tetraléctica) and a Hungarian variety. The former pretends to be a rediscovery, by the Bolivian engineer Jorge Emilio Molina Rivero, of a Pre-Incan, four-fold system. In particular, the Pukina-speaking civilization of Tiwanaku (Tiahuanaco) was supposed to be familiar with this knowledge. The Hungarian version is defined by the authors (HARGITAI et al, 1995) as ‘a new type of logic with a novel way of validation and a demand for a three dimensional geometrical representation, a meta-theory for scientific theories, a logic of scientific theory-building’. Tetralectics is seen as a postmodern logic. ‘Tetralectics is a metatheory or a version of general systems theory’. The validity of the Aristotelian causal theory is accepted and their re-interpretion is given in fig. 825 (sequence given as MSAC). Later they called their sequence MASC, indicating an ignorance of the various positions in a cyclic setting. The Aristotelian entelecheia (causes) in a quadralectic environment are given as: final/aim (I) – formal/form (II) – material/matter (III) – efficient/efficiency(IV), following the interpretation of these entities in terms of visibility. Fig. 825 – A re-interpretation of the four Aristotelian concepts to a tetralectics of natural sciences (MASC) by HARGITAI et al (1995) and a comparison with the quadralectic quadrants. John COLLIER (2003/2004) traced ancient and modern precursors of tetralectics in a paper presented in Budapest (Hungary) in 2003. A direct link between the tetralectic and quadralectic views is difficult at this stage of understanding. Tetralectics is three dimensional, while quadralec-tics is created in a shift on a two-dimensional plane (which does not mean that quadralectics could not be envisaged in three dimensions). Finally, there is the tetrastic world of Ben Udell, expressed in his kaleidoscopic blog spot (the Tetrast), with lots of information on the four-fold. George KUBLER (1982; p. 130) mentioned in his book the four similitudes, which were recognized as organized knowledge until 1600. This ancient wisdom is close to the roots of quadralectis thinking. Resemblances can be broken down in four types. Analogy itself is part of a process of recognition between sympathies, substantiated in the points of recognition (POR). 1. The first similitude is known as convenientia or agreement. This appropriate chain of resemblances is somewhere in space. The modern visualization of this chain is the CF-graph (see Ch. 7). 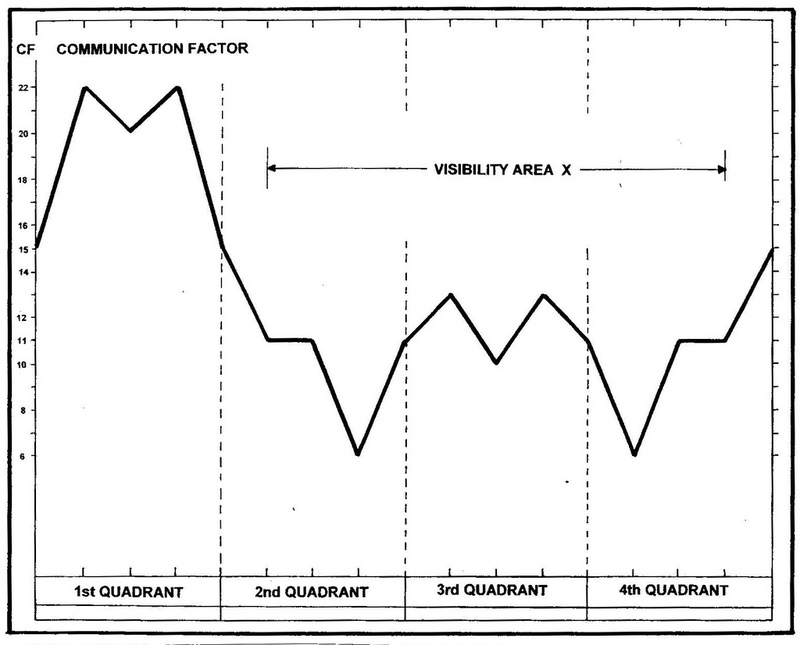 This graph is a distinct measure of the proximity of communication elements during the full cycle of communication. 2. The second similitude, known as aemulatio, takes place by replication, and mirroring. There is a rivalry in linked duplications. The modern word emulation expresses the situation of tension between communication elements, which produces the first ‘visibility’ of the interaction. 3. The third similitude is the reversible joining of convenienta and aemulatio with mankind as the center. This position is the ‘measure center’ and the place where a communication gets its identity. 4. The fourth similitude consists of the convergences of sameness, which are opposite to antipathy. This mental situation was known as simpatia. The principles of this fourth type of similitude hinge at the (subjective) identification of sympathy by the communication partners. The development of linear perspective in the fifteenth century introduced an objective means of linking the original object with its image on a picture plane. This relation was visualized in geometry, a mathematical form, which existed ‘outside’ of the observer. The more an observer was chasing this objectivity in models and reconstructions, the further man was distracted from nature. Stoër’s perspective garden (fig. 19) is an intriguing final result of such a search: there are no persons or even trees left in his landscape. The reconstruction of nature in terms of regular geometrical shapes opened up a personal awareness, once this point of reversal was passed. The position of the observer in relation to perspective gained growing importance. Leonardo da Vinci’s paintings – like the Mona Lisa – had to be viewed from the side, or rather: many sides. The observer had to define its own position and any assessment was related to that position. A new subjectivity of place was born here. A frantic search for coordinates was the immediate consequence. The quadralectic perspective does not favor the reversal of objectivity and subjectivity. Veltman’s opinion that ‘every quest towards comprehension bears the seeds of a revolt against itself, an instinct to abandon the predetermined for the undetermined’ is not followed. Comprehension is about making choices (establishing simpatia), validation of these choices and their fit into the communication as a whole. There is no need for a ‘revolt’. Such an action has only local references and does not represent or cover the communication as a whole. The quadralectic type of building aspired to insight, which surpasses the simplification of thought. It aims at an exploration of new grounds in a structured multiplicity. The universal communication graph (CF-graph) is the map on that journey. It gives coordinates based on values of simpatia and mutual understanding, rather than disagreement and opposition. The CF-graph, the key to quadralectic visibillity.